As cells are pushed from the deeper portion of the epidermis toward the surface, do they divide continually, does their supply of nutrients improve, do they tend to die, or do they become dermal cells? Dermis is a lower layer, epidermis sits on top. Old cells are pushed towards surface where they are all dead. Epidermis has stratum basale layer sitting on basement membrane. It is the only layer where cells go on dividing. They get good amount of nutrients as well. As they move towards surface to make way for new cells, they receive less amount of nutrition, and due to accumulation of more of keratin the cells become metabolically inactive. Evevtually dead cells form superficial stratum corneum. 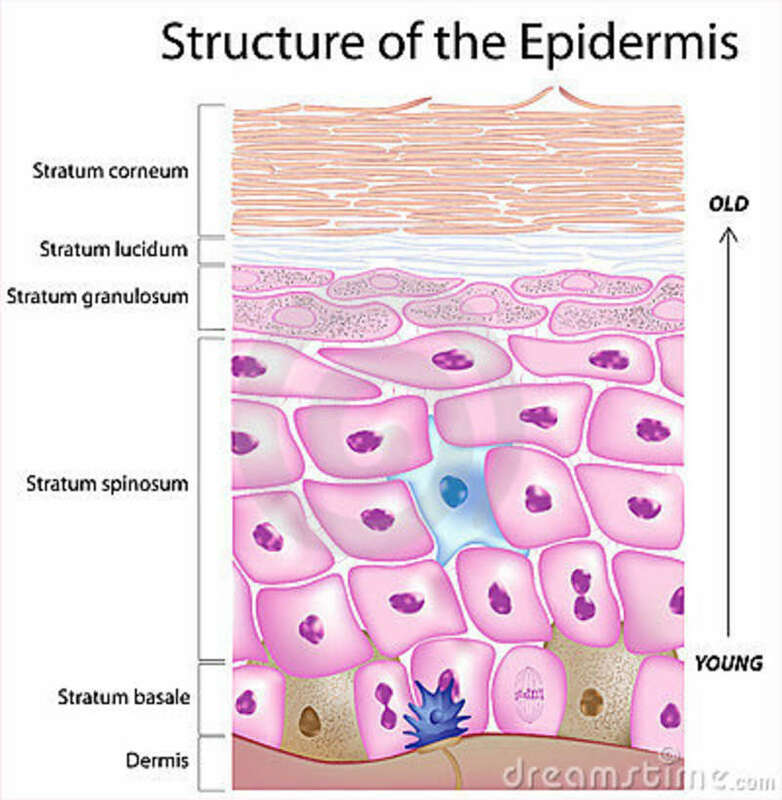 Skin epidermis is ectodermal tissue. Dermis lies underneath, which is connective tissue with lots of blood vessels.